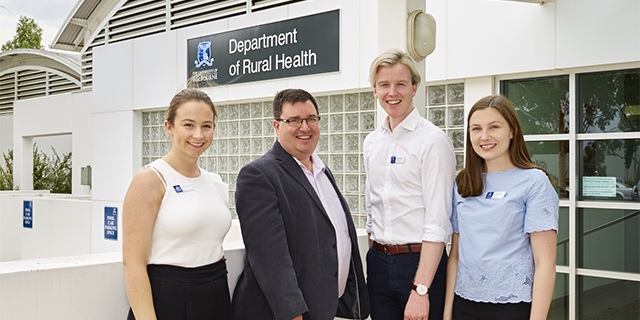 Three students who studied at Shepparton high schools have recently commenced their second year of the Doctor of Medicine program at the Rural Clinical School, Shepparton. Head of the Department of Rural Health and Director of Medical Education Professor Julian Wright, said: ‘it is a great encouragement for high school students in Shepparton to see local students come back to study in the area’. Currently rural students are well-represented at the Rural Clinical School with at least 25 percent of those enrolled in rural medicine. The University of Melbourne offers special entry access schemes, Access Melbourne and Graduate Access Melbourne, as avenues for those at an educational, geographical or financial disadvantage to access the institution.